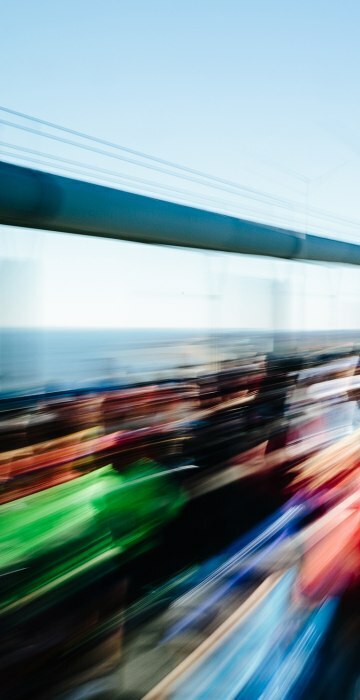 America votes, Trump berates a reporter, a highway motorcade honors fallen California police officer and more. 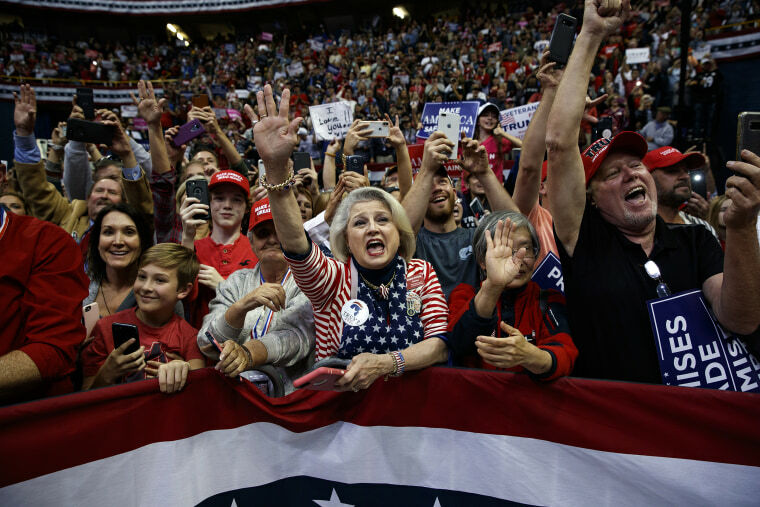 Supporters of President Donald Trump cheer as he arrives to speak at a campaign rally on Nov. 4, 2018, in Chattanooga, Tennessee. 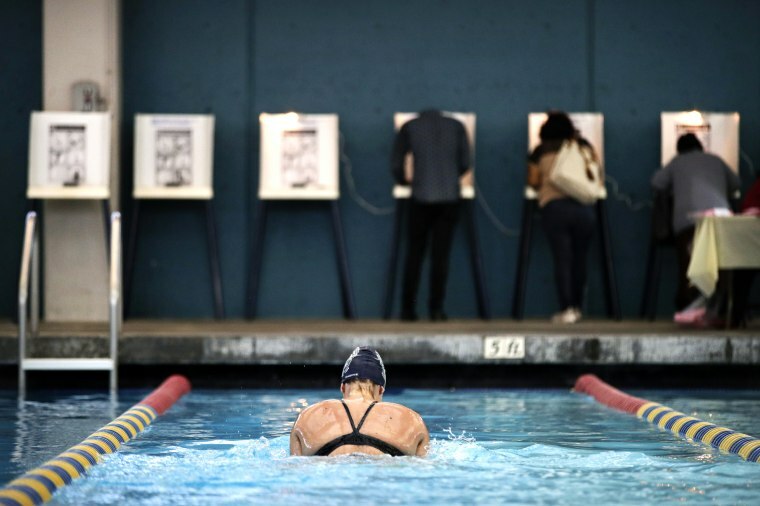 Sarah Salem, 34, swims as voters cast their ballots at Echo Deep Pool on Nov. 6 in Los Angeles. 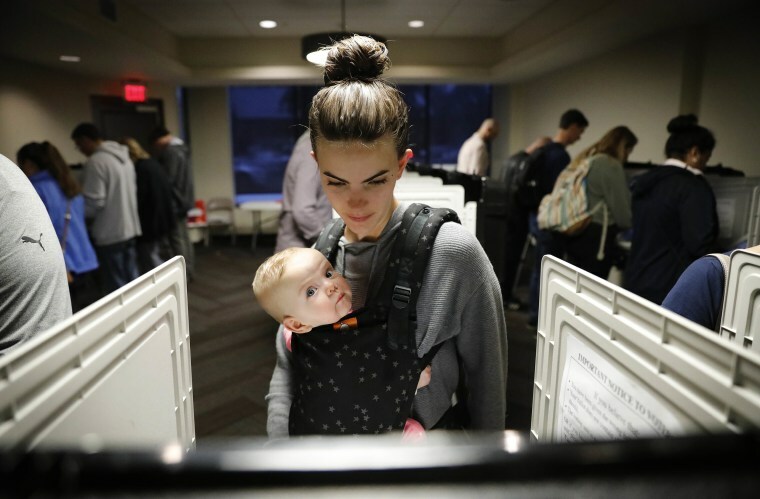 Kristen Leach votes with her six-month-old daughter, Nora, on election day in Atlanta on Nov. 6. 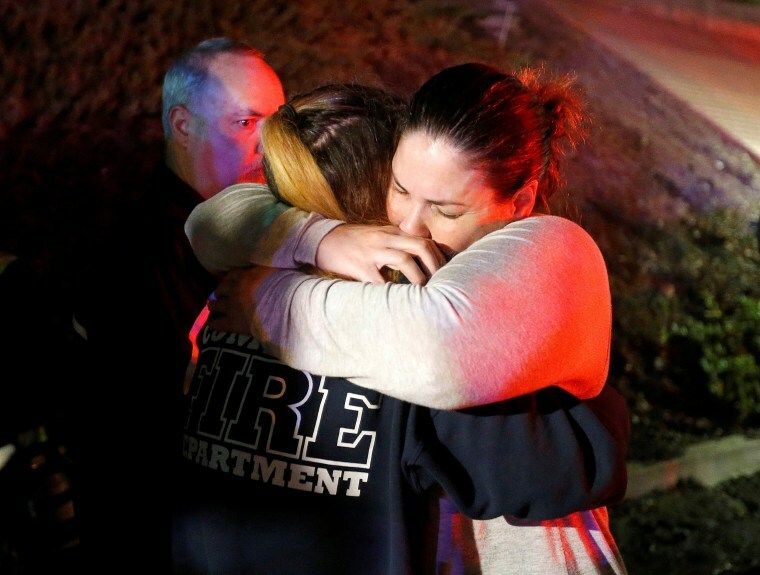 People comfort each other after a mass shooting at a bar in Thousand Oaks, California on Nov. 8. 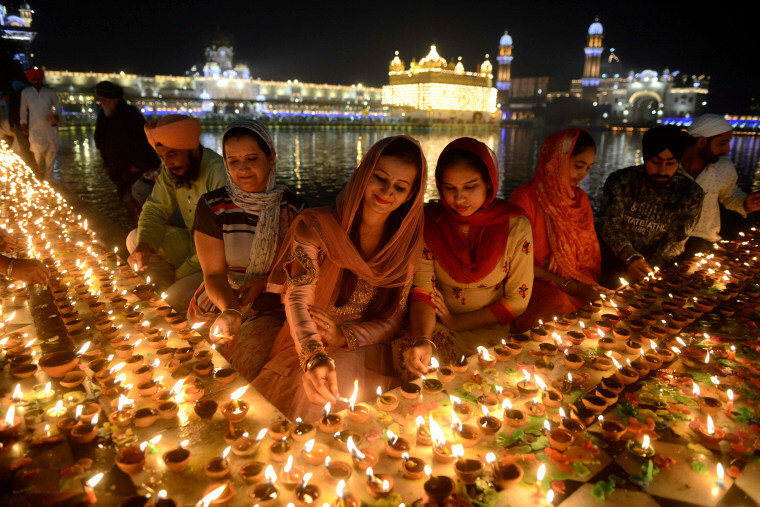 Sikh devotees light diyas, or earthen lamps, at the Golden Temple in Amritsar, India, on Nov. 7. Sikhs celebrate "Bandi Chhor Divas" on the same day as Diwali, the Hindu festival of lights, to mark the historic return of the sixth Guru, Guru Hargobind. 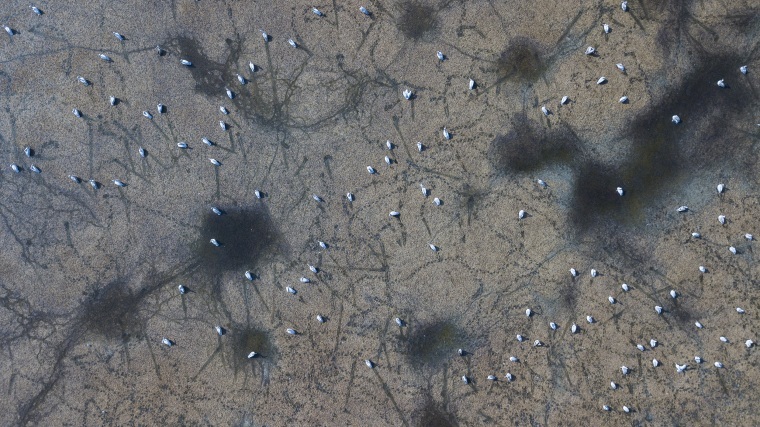 Pelicans stand in Lake Marmara in Manisa, Turkey on Nov. 8. A White House staff member reaches for the microphone held by CNN's Jim Acosta as he questions President Donald Trump during a news conference at the White House on Nov. 7. 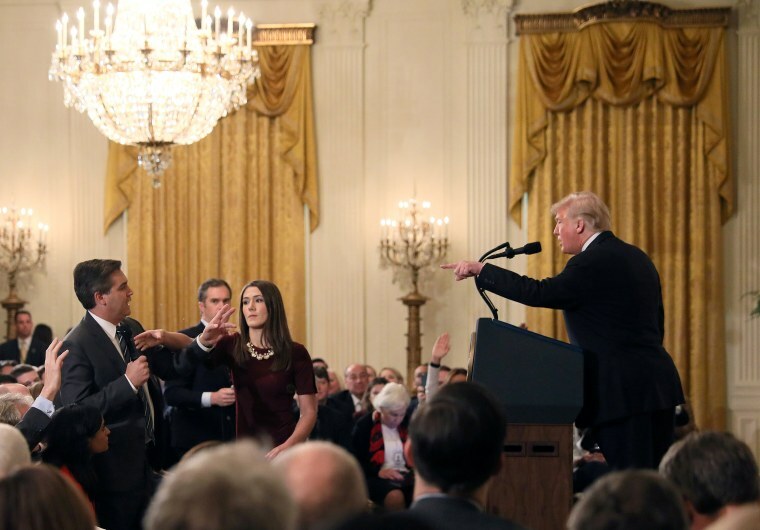 President Trump's ongoing feud with Acosta, CNN's chief White House correspondent, boiled over on Wednesday, with Trump verbally berating the journalist before the White House ultimately suspended his press access. 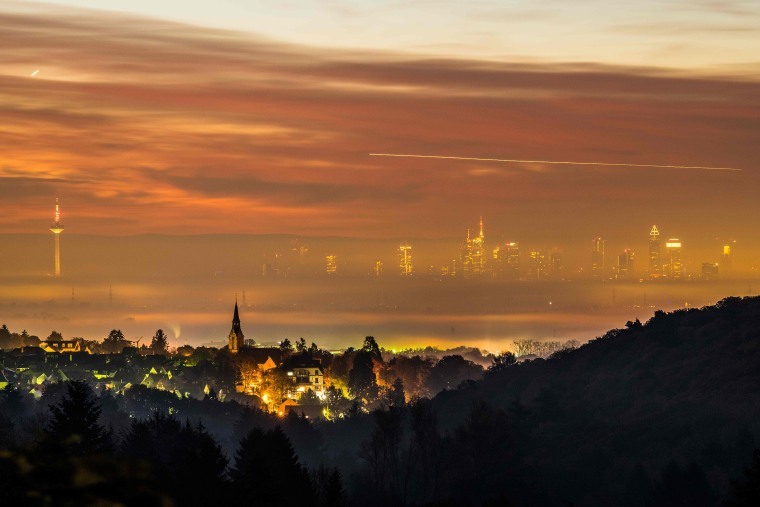 The rising sun lights up a foggy sky over Frankfurt, Germany, on Nov. 7. 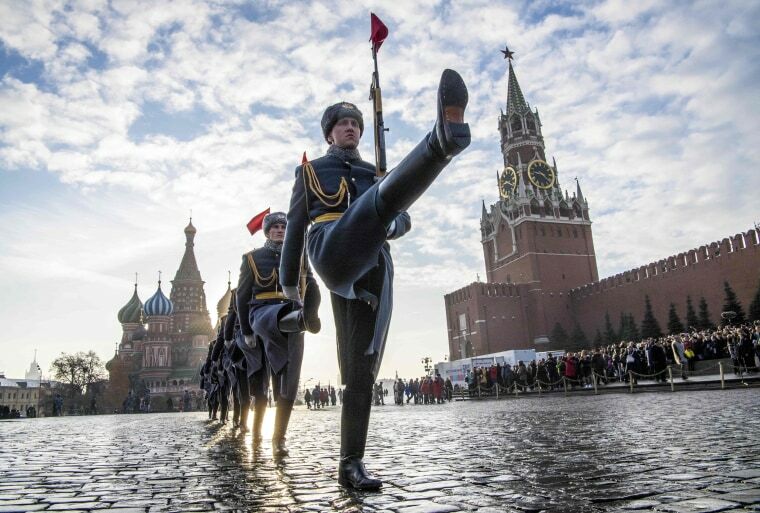 Russian honor guards march in Moscow's Red Square on Nov. 7. Russia marked the 77th anniversary of the 1941 march of Red Army soldiers past the Kremlin walls towards the front line to fight Nazi troops during World War II. 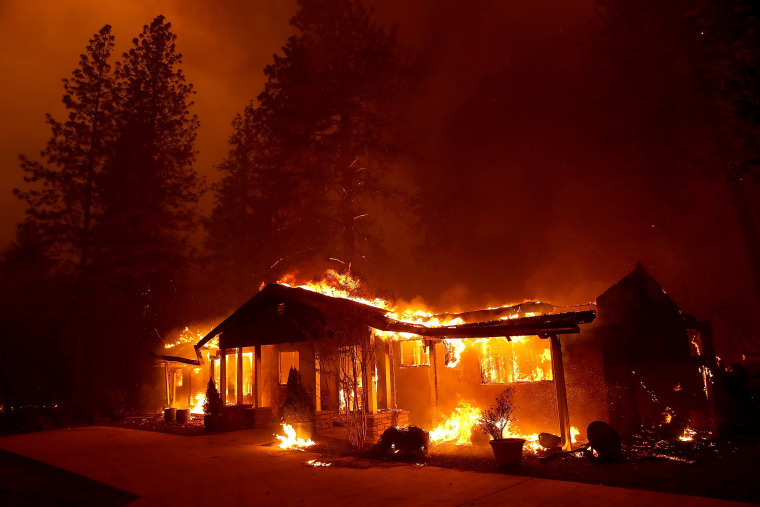 A home burns as the Camp Fire moves through the area on Nov. 8 in Paradise, California. 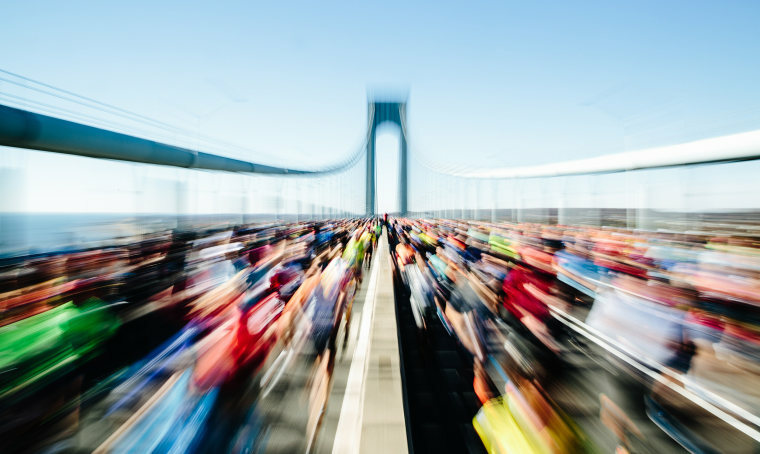 Runners head across the Verrazano-Narrows Bridge at the start of the New York City Marathon in Staten Island on Nov. 4. 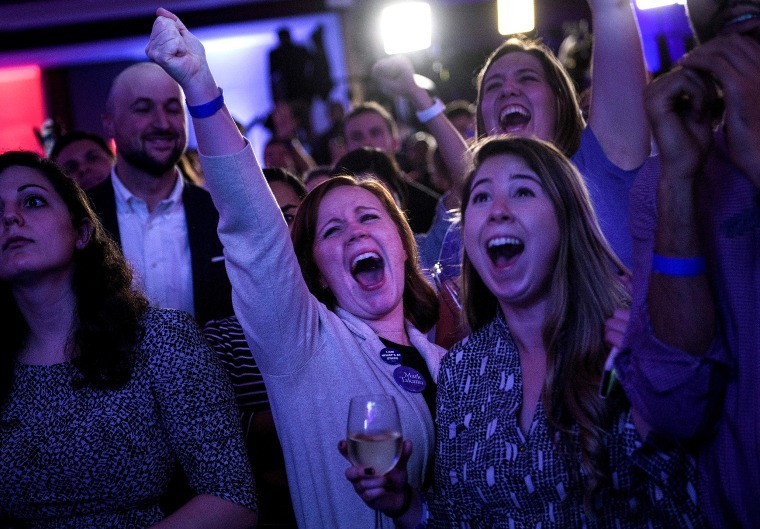 Democratic supporters cheer results during a midterm election night party on Nov. 6 in Washington. 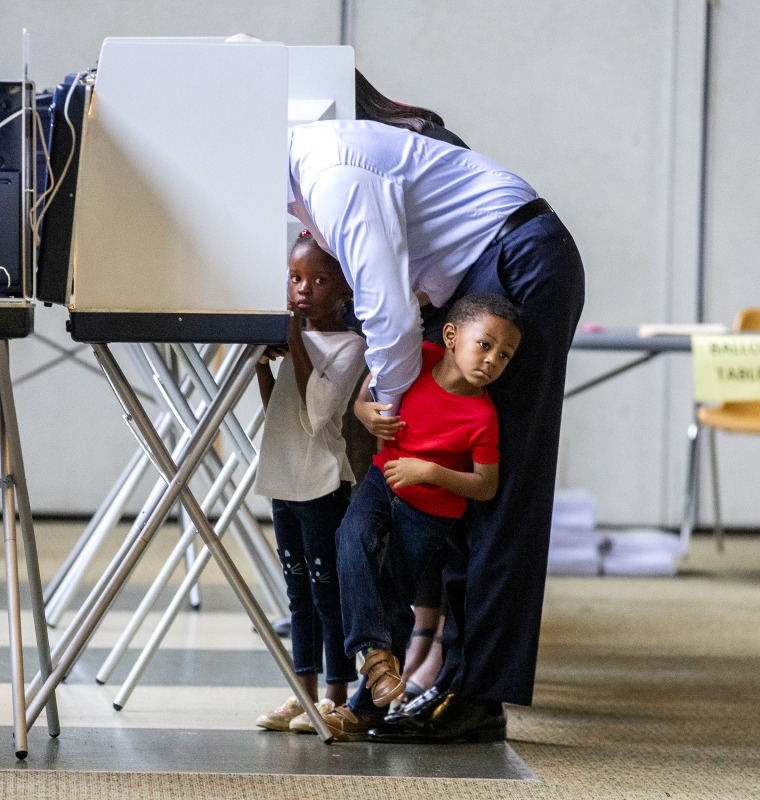 Tallahassee mayor and Florida Democratic gubernatorial candidate Andrew Gillum casts his ballot with his four-year-old twins Caroline, left, and Jackson on Election Day on Nov. 6 in Tallahassee. 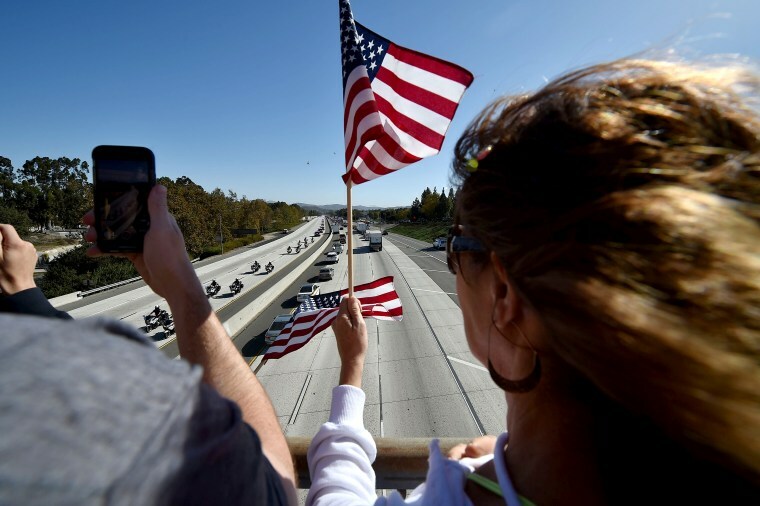 A motorcade procession transports the body of Sheriff's Sergeant Ron Helus, the first victim named in the mass shooting at a country bar in Thousand Oaks, California, on Nov. 8.